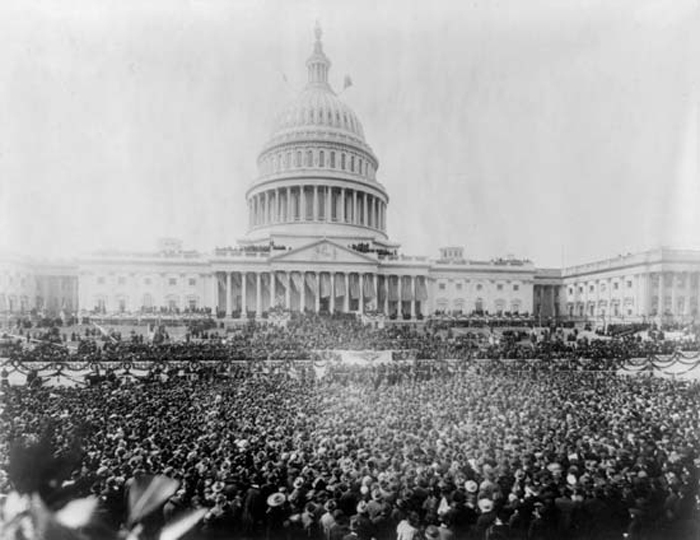 Did you know that in November 1916, the United States of America held a presidential election that was viewed by many as a vote on potential American entry into the First World War? At the outbreak of the First World War in August 1914, the United States of America maintained a long-standing reluctance to involve itself with the affairs and conflicts of Europe. This isolationism served its function in preventing an early American entry into the conflict but, as the war expanded, made neutrality increasingly difficult. 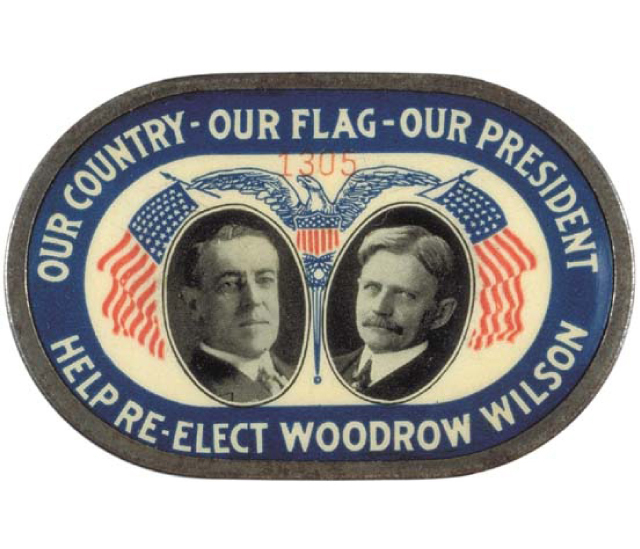 The American President in 1914 was Woodrow Wilson. 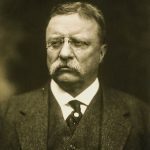 A Democratic President, he had won the 1912 election against the incumbent President William Howard Taft, a Republican, and Theodore Roosevelt who had been President until 1909. Wilson took office in 1913. During this Presidential term, Wilson found repeated obstacles arising to America’s attempts to remain isolated from wider international affairs. At the onset of war in Europe in 1914, there was no great clamour for American involvement. However, the make-up of the American population at the time did lead to the possibility of split allegiances. Many Americans could trace their roots back to Europe and with large British, Irish, and German populations within the United States there was no universal backing for any of the combatants. With a lack of appetite for military intervention, President Wilson attempted to maintain America’s standing as a neutral power. What support there was for involvement in the war was also largely restricted to the eastern states. American civilians who lived further to the west of the country were much more likely to oppose intervention in a war that was so far from home. Despite this, the German strategy of unrestricted U-Boat warfare against vessels sailing towards Britain and Europe resulted in a number of American ships being sunk, including the passenger liner RMS Lusitania which resulted in the deaths of 128 American citizens. American anger at this event managed to, temporarily, halt the German attacks on neutral shipping. The previous presidential election of 1912 was unusual in American politics in that it was fought between four different candidates and this trend impacted the nomination process for 1916. 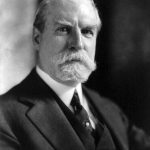 Woodrow Wilson, as the President, maintained the Democratic Party’s nomination and the Republicans nominated Charles Evans Hughes, who was at the time a United States Supreme Court Justice. 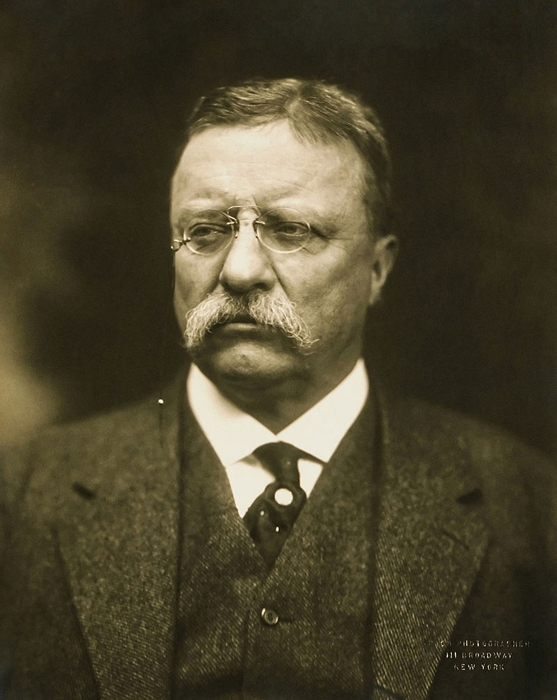 In 1912, the former President Theodore Roosevelt had failed in his bid to win the nomination of the Republican Party. In response he had formed his own ‘Progressive Party‘ and achieved a nomination for President from them. In 1916 he was once again nominated by the Progressive Party for the Presidency, but he refused their nomination leaving the party he had helped found in disarray and unable to field a candidate. The group was completed by Allan L Benson, a newspaper editor, who stood for the Socialist Party. The election itself came to be dominated with discussions about potential American involvement in the war. Wilson’s campaign regularly made use of the slogan ‘He Kept Us Out of the War’. Whilst Hughes advocated for wider expansion of the American armed forces in case of war, Wilson’s peace platform was popular. 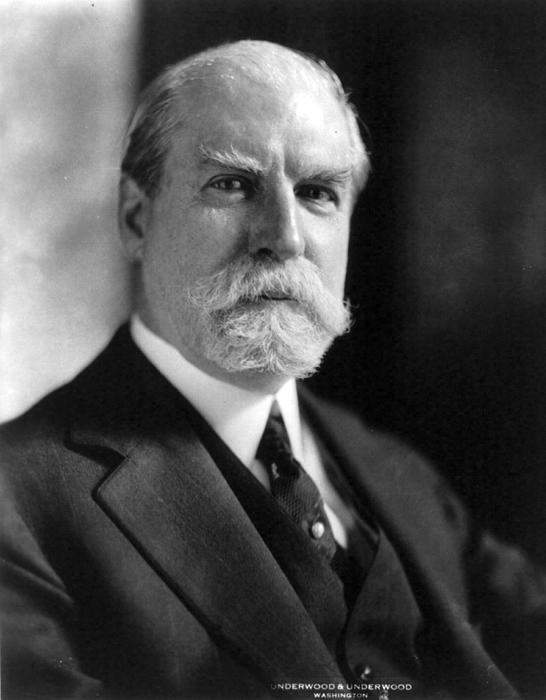 Therefore, Hughes leveled most of his criticism at Wilson for the ongoing American role in the Mexican Civil War. Earlier in the year, Mexican forces led by Pancho Villa had attacked the American town of New Mexico and President Wilson had sent portions of the American Army to end the attacks and bring Villa to justice. Whilst Villa’s forces had left the area by the election, he still had not been captured and America was giving support to several different groups aiming to seize control of Mexico. More problematic for President Wilson was the ongoing popularity of Theodore ‘Teddy’ Roosevelt. Whilst Roosevelt had left the Republican Party to further his own chances of regaining the presidency, by refusing to stand again for the Progressive Party he was able to assist Hughes’ presidential campaign. Additionally Roosevelt had been a strong advocate of American involvement in the war at its outset and had passionately believed that it was an opportunity to dispense with the perceived split loyalties of citizens who still identified themselves in relation to their European past, particularly those of Irish or German descent. 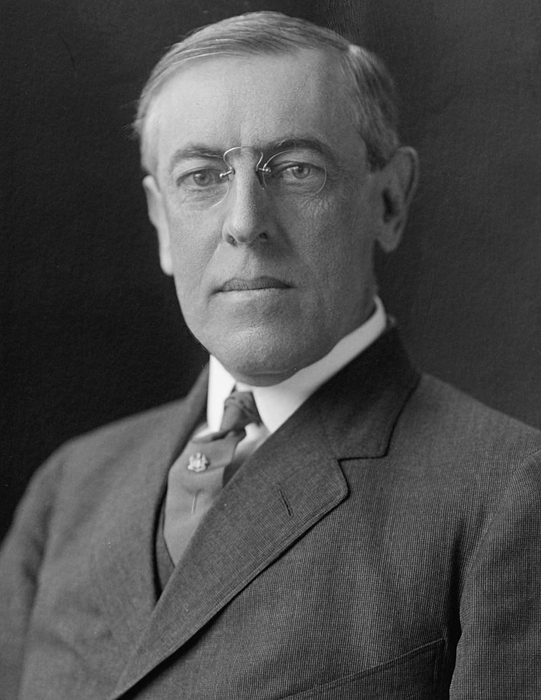 Roosevelt repeatedly labelled the foreign policy of Wilson to have been a failure. These military debates made for a charged election. The Republican Party that Hughes represented was still the largest in the country at the time and a Democratic President had not won immediate re-election since 1832. Despite this, and in part because of the failure of Charles Hughes to win the support of the Californian Governor during the election, Wilson was able to secure victory by the slimmest of margins. Needing 266 votes from the electoral college Wilson secured 277 to Hughes’ 254. Out of the 48 states (neither Alaska nor Hawaii had yet gained Statehood in America), Wilson won 30 states against Hughes’ 18. Wilson’s votes were tallied at just over 9.1 million with Hughes taking 8.5 million. Despite the narrowness of the electoral college vote, Wilson had managed to increase his number of votes from the people by around 3 million. With President Wilson’s second term secured, his attempts to keep America out of the war were placed under immediate strain. Military setbacks for Germany at the Somme and Verdun had cost the lives of thousands of their soldiers and so they decided to re-commence unrestricted U-Boat attacks in the Atlantic Ocean. To counter any potential repercussion from the United States, members of the German government began to formulate a plan to divert American attention elsewhere. The failure of this plan in April 1917, would result in President Woodrow Wilson, the man who had campaigned on the fact he had kept America out of the war, requesting that the United States Congress support a vote in favour of declaring war against Germany and Austro-Hungary.